“Copying a work of art while negotiating scores of art buyers and random onlookers was the biggest challenge. 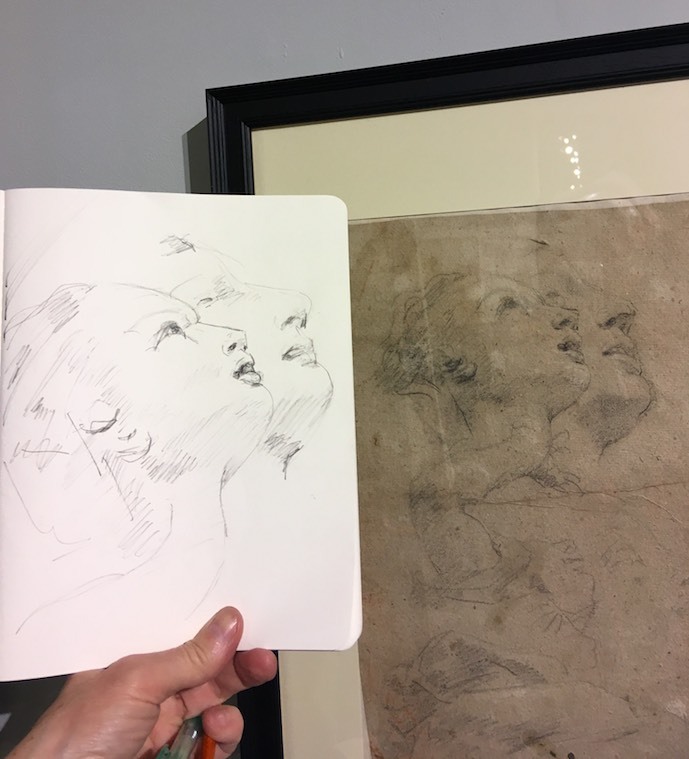 The reward was having a few of those passersby ask to see my sketch and compare it to the original. Now, if only a living artist could fetch the prices on all those dead artists’ works! Moleskine and Sotheby’s hosted a lovely event Saturday and Sunday, passing out Moleskine sketchbooks, and allowing artists to work in the galleries. Learn more about KC’s drawing here. Thank you, Simon, for your encouragement and your critical eye. I appreciate the community that you’re fostering here, for us all!